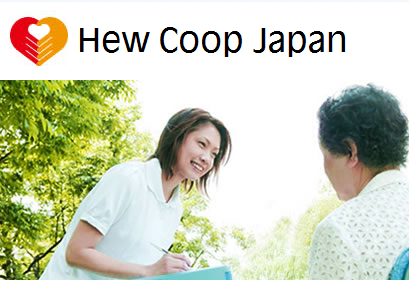 Health and welfare co-operative in Japan is a co-operative body established based on the Consumers’ Co-operative Law. As its main business, health and welfare co-op provides medical and nursing care services to local residents, and manages hospital, primary health care center, nursing care home, home-visit care station, rehabilitation facility, at-home help service and housing for aged people. Any resident is able to become a member of health cooperative by investment. Almost all staffs of health and welfare co-op are members of the co-op for which they are working. Many of health and welfare co-ops set up 1000Japanese Yen as share capital when people join the co-op. (A minimum unit of share capital varies by co-op.) Share capital is utilized as a part of fund to construct hospital, primary health care center and nursing care office as well as operation fund of the co-op. Consumers’ Co-operative Law of Japan restricts use of retail co-op to its members. In case of health and nursing care business, however, non-member can use services up to the half portion of total business volume. Health and welfare co-op strongly encourages non-members to join the co-op. In fact, 80% of users are co-op members.